When you’re a student, downtown Atlanta apartments can seem out of reach— not so at 100 Midtown. Our premier apartment community puts the city in your backyard for a lot less than you’d expect. Rents are less than 1K a month, no matter which apartment you choose. And if that’s not enough to convince you to take a tour, these clear advantages to life at 100 Midtown surely will. We’re located in Midtown between Hank McCamish Stadium and Tech Square. 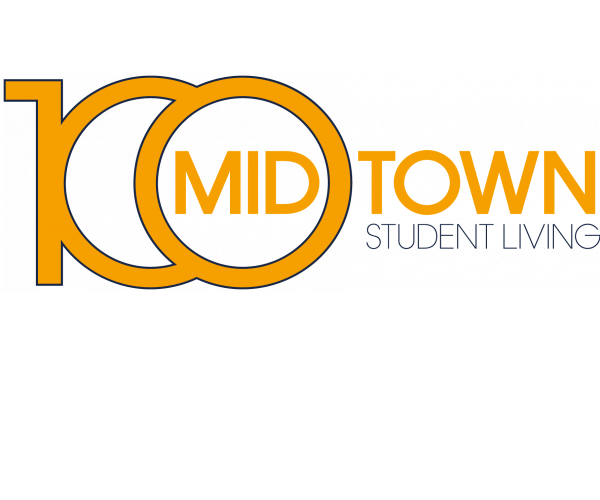 Close to Several Campuses – 100 Midtown is just moments from Georgia Tech, Georgia State University, SCAD Atlanta, and the AUC, making us a perfect choice for undergraduates and graduate students. Adjacent to the Midtown MARTA train station – Our location is only a 5-minute walk from the Midtown MARTA train station, providing easy access to anywhere in the city– even if you don’t have a car! 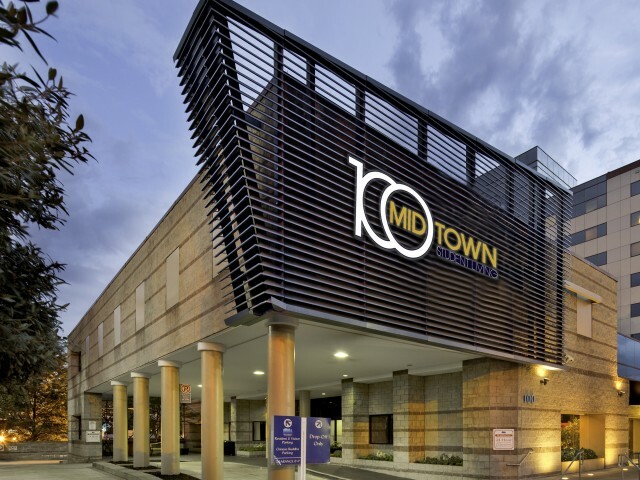 Dozens of dining and shopping options – There’s plenty to do as soon as you walk out of the door at 100 Midtown! We’re within walking distance of bars like Vortex Bar & Grill, coffee shops like Cafe Intermezzo, and restaurants like the Flying Biscuit cafe. Plus, we’re just a 2-minute walk from the Georgia Tech Trolley stop at Publix Supermarket. Our location may be great – but our apartments are even better. 2- & 4-bedroom floor plans available – We offer 4 different floor plans across 2- and 4-bedroom options, so you have plenty of options when deciding which apartment fits your needs (and your budget). Fully furnished – Forget buying furniture. When you rent from 100 Midtown, we provide you with a full set of modern furniture, including beds, desks, couches, and TVs. Individual leases – Never worry about breaking your lease. You’re only responsible for paying your own rent. Whether you want to study, work, or play, we have the amenities you need. Convenient amenities – We offer on-site laundry facilities (as well as a washer and dryer in your unit), a computer lab with printing services, and a library where you can work or study. Plenty of recreation options – Watch a flick in our movie theater or play some ping pong in our game room. We also have a dedicated video gaming and a TV lounge. Visit 100 Midtown ASAP to see these fantastic Downtown Atlanta apartments for yourself. Schedule a tour by contacting us now.